I only bought 2 books last week and was sent one brand-spanking new one. 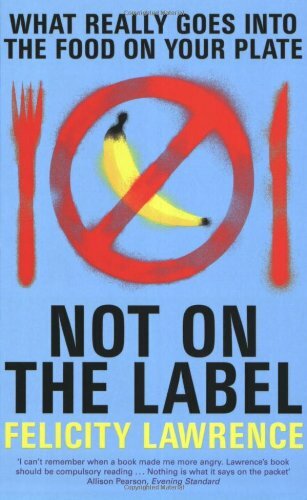 Not on the Label: What Really Goes into the Food on Your Plate by Felicity Lawrence. This looks both interesting and worrying. It was written about the situation in Britain but may well reflect on Iceland as well, as we operate under the same EU food regulations as Britain did at the time the book was written. I have read a couple of chapters and it is interesting and heartbreaking at the same time, as part of the system she investigated included some rather terrible treatment of itinerant workers, some of whom are illegal immigrants. Review from The Guardian. 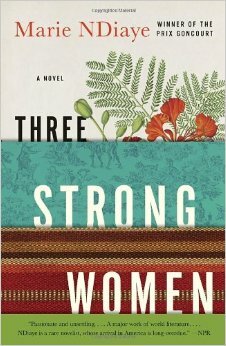 Three Strong Women by Marie NDiaye, translated from French by John Fletcher. This is a literary novel that won the Prix Goucourt in 2009. It was the title that caught my attention, and as I had recently read two non-fiction books about Central Africa I had the continent on my mind. This book, when I get round to reading it, will also fill in one more gap in my list of countries I will have read books about. It takes place in Senegal and France and will add one more country to my list of places I have visited in books. Finally, there is Be Still the Water by Karen Emilson, a historical novel which I have just realised I could have written my very first Mailbox Monday post about. Oh, well: maybe some other time. Here's a review from Lögberg-Heimskringla. When author Karen Emilson contacted me a couple of years ago while looking for information, it was not through this blog, but my Icelandic food blog, where I write about Icelandic food, both traditional and modern. That first exchange turned into an-on-and off correspondence about Icelandic heritage and language, and I was able to supply her with information about the true meaning and correct spelling of some Icelandic terms she wished to use in her book and had heard but never seen written down, and also about Icelandic names, places and food and certain other information relating to the language. As a "Thank you" gesture for the information, she sent me this book, her first novel. This book takes place among Icelandic immigrants in Canada in the early 1900s and is a mystery. 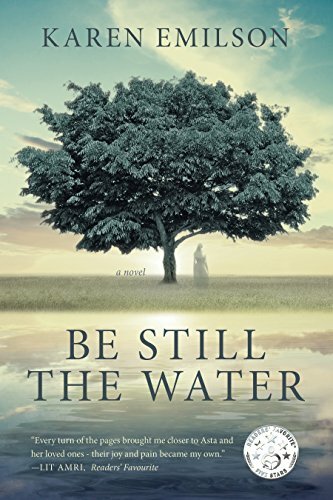 Set in 1906 along the unspoiled shores of Lake Manitoba, Be Still the Water brings us into the fold of the Gudmundsson Family—immigrants determined to begin life anew in the Icelandic farming and fishing community of Siglunes. At the heart of the novel is dutiful Asta, the middle daughter who lives in the shadow of her siblings—fiery Signy, headstrong Leifur and sweet, naive Freyja. When Freyja goes missing, Asta embarks on a quest to bring her sister home. She tells the family’s story some seventy years later, while on her deathbed, finally discovering the truth of what happened on those fateful days that set the course for her life and the lives of everyone she loved. Loosely inspired by area events, this is an emotional, slow-burning story of family love and sacrifice, of secrets revealed and promises broken—told in the spirit of the Icelandic Sagas. I am a couple of chapters in and enjoying it, apart from kicking myself for not finding the time to read the eArc she sent me previously, because the first paragraph I read in the book contained two errors in Icelandic words, one grammatical and the other a spelling error. However, the paragraph is not in the novel proper, but in some explanatory notes, so it really doesn't matter that much and will not be spotted by anyone who doesn't speak Icelandic.